“Relationships are everything.” I said, holding back the tears that had snuck up on me as I spoke my truth across the lunch table to my friend. I’ve learned that emotion is a sign that my heart is speaking to me so I didn’t fight the tears, instead I took a few deep breaths and really let this insight sink in. It was so powerful saying it out loud, and with conviction. I had been sharing a story with Blair about how I felt conflicted as a result of an experience the previous day. I had responded to a situation in an uncharacteristic way – a way that did not feel right to me. I had responded from a place of fear, a place where I felt pressure to act. The result was that I was terse and curt with some extended team members that I barely knew. By pausing and sharing with my friend, I gained greater clarity about what had been nagging at me and about what really matters to me. To me it matters not just that I get things done at the office – it matters to me how I get things done and why I am doing them. I reconnected with something I’ve said dozens of times to myself and others: “Every interaction is an opportunity” – and I want to seize those opportunities for something else that is fundamentally important to me, connection. I want to be present with each individual I engage with, to see the world from their perspective, and to learn from them. Running around with a crisis-mode mentality doesn’t honor that…being calm, focused, and caring does. Did someone do something that bothered me? Did I do something I didn’t really want to do? Did I fail to do something that I really wanted to do? Is there a disconnect between what I want and what I am creating? 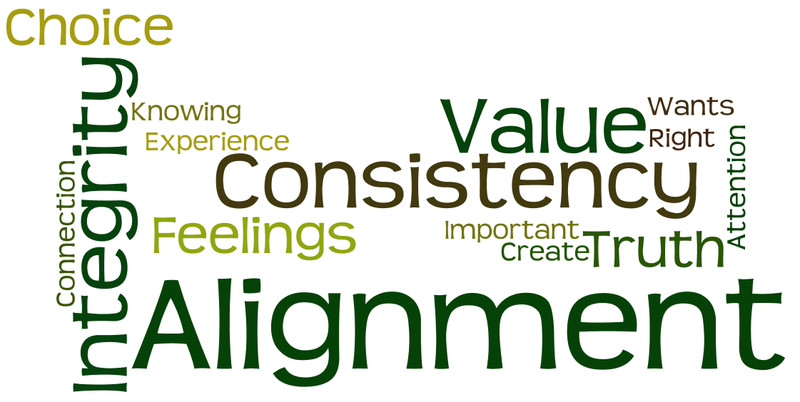 How can I move toward greater alignment with my values and what’s important to me? What actions are consistent with my values? Who do I need to be to live my values? Click on the link below to access the October calendar featuring highlights from this post. Awesome article, I’ve been facing this of late with my friends and loved ones too, gives me something to introspect, thank you Vicki, much appreciated as always. God bless. as always enjoying your blogs. That is just what I needed to read today! Yesterday I had a talk with my best friend. She always knows just what to say or ask to get me in connection with my heart. This morning, driving to work, I thought about something that Brené Brown wrote in her book “The Gifts of Imperfection” about Wholehearted Living. That it is a journey and it requires head work and heart work. The head work I was doing already. The heart work started for me during the Be the Change workshop, which is lead by Yvonne and Rich Dutra St. John (founders of Challenge Day). ” I didn’t fight the tears, instead I took a few deep breaths and really let this insight sink in”. Thank you for letting us see what is in your heart and for being my friend! Karin, wishing you an amazing journey of discovery and empowerment. I see your light shining, my friend! Thank you for sharing – it means so much to hear from you. Vicki, thank you for sharing your thoughts on relationships. I can relate to them as I try to build relationships in my new retirement lifestyle. I am finding it hard because I no longer have a common business bond with people, based on expertise or years of doing business together. There is no immediate “we can help each other be successful” drive. Instead, relationships are purely voluntary and subjective! The softer issues are more important – the way I laugh at funny things, the interest I show or not show in group discussions, the personal information I choose to share with others. I find myself being more selective in building relationships, and more tuned to what other peoples’ values are, as well as how my own values can be applied to the new lifestyle I am creating. Beautiful post and lesson, Vicki. Learning and sharing — a wonderful aspect to relationships! What a wonderful post and I love your tips! Thanks, Diana. Glad you found some useful tips! Have a wonderful, intentional month! Love the positive messages in your blog. Though I am no longer in the work place, I can apply your insight in my interactions with my child, who at 5 1/2 gives me plenty of opportunities to react before thinking. Today I will attempt to view each interaction as an opportunity to understand, to teach, and to mold. 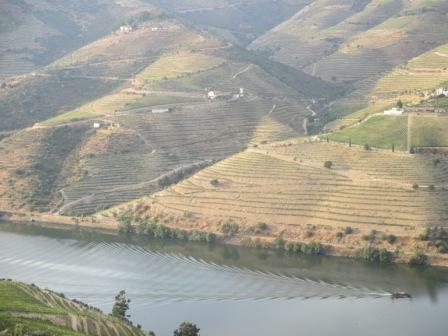 By the way, love the picture of the Duoro River. Beautiful wine country. I hope to get there some day. Robin, so great to see you here! I love that you can apply it in your relationship with that beautiful son of yours! I hope, too, that you get to the Duoro some day!